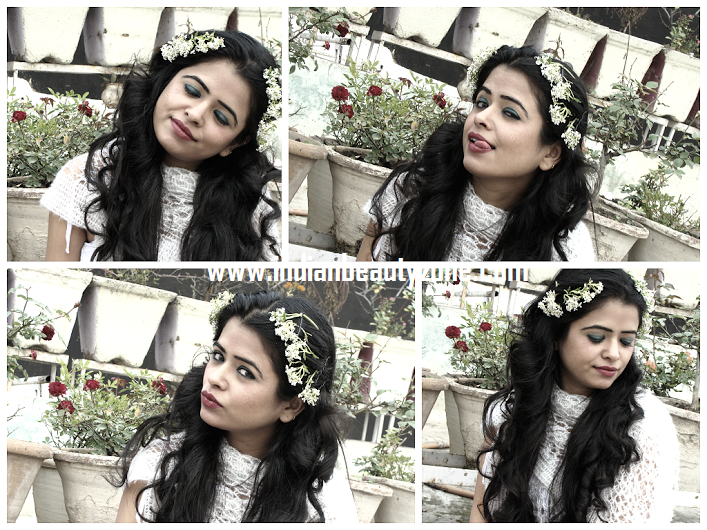 A big hello to all beautiful indianbeautyzone.com readers. 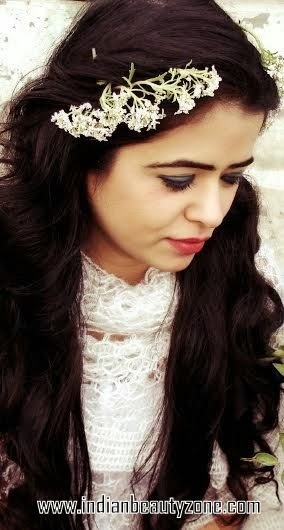 I am Charu Sharma and I blog at myglossyaffair.com. 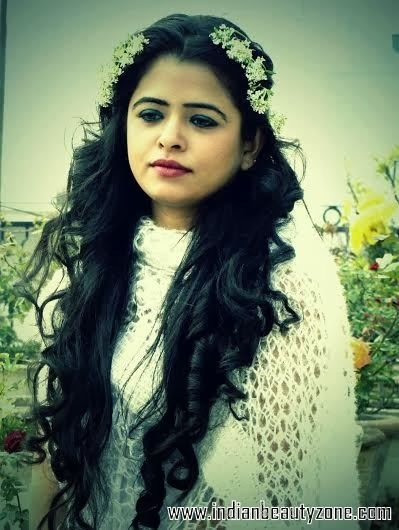 My darling dearest friend, Radha, gave me this wonderful opportunity and asked me to do a guest post here on her sweet blog. 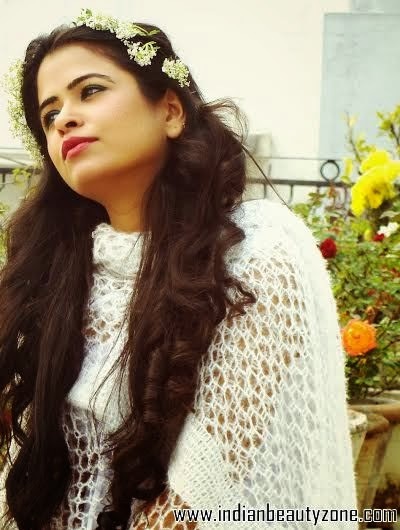 I am so delighted and equally excited to do this post J.
Radha, I know this amazing girl, from the days of mynoblesecrets.blogspot.in, that I visited almost daily and loved reading that too. 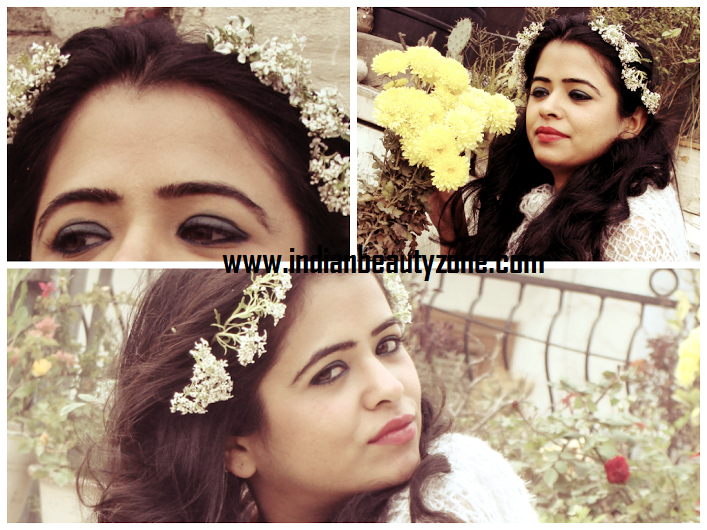 Even now, I love indianbeautyzone.com. Radha has evolved much as a writer and a versatile blogger and most importantly as a great human being, a helper, a savior always. Now, that she owns 2 blogs, I wish her lots of luck and love. Kudos to her!! Now, we all love flowers, right!! So innocent and pure and beautiful these are, that I found them perfect for doing something special for Radha. 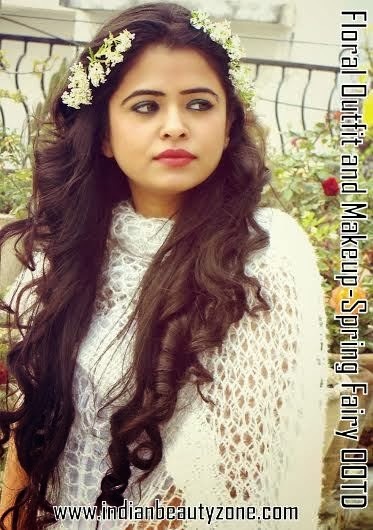 Hence, I decided to do this floral look with white flowers and Ritcha, my little darling sister helped me out as always in achieving what I intended to. You are gorgeous, girl and those flowers make you prettier and I am not buttering ;) Love ya!! 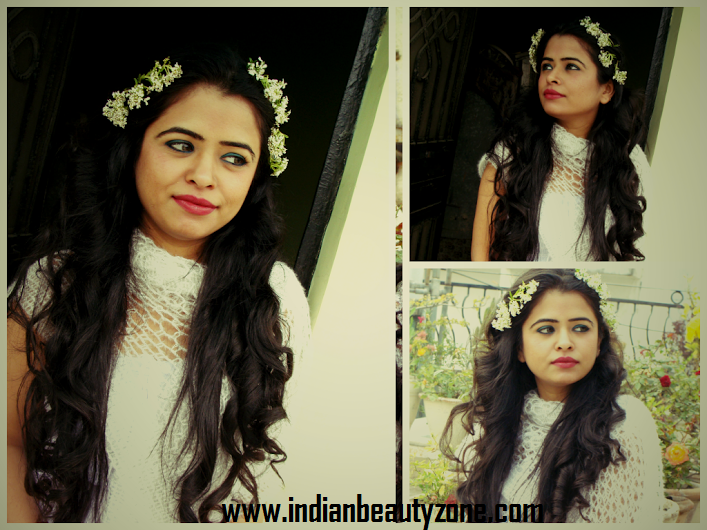 Here, in this look, we have used fresh white flowers as her hair accessory, hair parting done, hair rolled and pinned with flowers and a simple white stole wrapped on the shoulders to have that pure white effect. FRESH WHITE FLOWERS J in the hair and some colored ones in the background! !